1. Chopra, I.; Roberts, M.C. Tetracycline antibiotics: Mode of action, applications, molecular biology and epidemiology of bacterial resistance. Microbiol. Mol. Biol. Rev. 2001, 65, 232-260. 2. Hughes, V.M. ; Datta, N. Conjugative plasmids in bacteria of the ''pre-antibiotic'' era. Nature 1983, 301, 725-726. 3. Levy, S.B. ; McMurry, L.M. ; Barbosa, T.M. ; Burdett, V.; Courvalin, P.; Hillen, W.; Roberts, M.C. ; Rood, J.I. ; Taylor, D.E. Nomenclature for new tetracycline resistance determinants. Antimicrob. Agents Chemother. 1999, 3, 1523-1524. 4. http://faculty.washington.edu/marilynr (accessed December 2003). 5. Mendez, B.; Tachibana, C.; Levy, S.B. Heterogeneity of tetracycline resistance determinants. Plasmid 1980, 3, 99108. 6. Pang, Y.; Bosch, M.T. ; Roberts, M.C. Single polymerase chain reaction for the detection of tetracycline resistant determinants Tet K and Tet L. Mol. Cell. Probes 1994, 8, 417-422. 7. Roberts, M.C. Resistance to tetracycline, macrolide-lincosamide-streptogramin, trimethoprim and sulfonamide drug classes. Mol. Biotechnol. 2002, 20, 261-283. 8. Roberts, M.C. ; Pang, Y.; Riley, D.E. ; Hillier, S.L. ; Berger, R.C. ; Krieger, J.N. Detection of Tet M and Tet O tetracycline resistance genes by polymerase chain reaction. Mol. Cell. Probes 1993, 7, 387-393. 9. Ng, K.L. ; Martin, I.; Alfa, M.; Mulvey, M. Multiplex PCR for the detection of tetracycline resistant genes. Mol. Cell. Probes 2001, 15, 209-215. 10. Aminov, R.; Garrigues-Jeanjean, I.N. ; Mackie, R.I. Molecular ecology of tetracycline resistance: Development and validation of primers for detection of tetracycline resistance genes encoding ribosomal protection proteins. Appl. Environ. Microbiol. 2001, 67, 22-32. 11. Luna, V.A. ; Roberts, M.C. The presence of the tetO gene in a variety of tetracycline resistant Streptococcus pneumoniae serotypes from Washington State. J. Antimicrob. Chemother. 1998, 42, 613-619. 12. Diaz-Torres, M.L. ; McNab, R.; Spratt, D.A. ; Villedieu, A.; Hunt, A.; Wilson, N.M.; Mullany, M.P. Novel tetracycline resistance determinant from the oral metagenome. Antimicrob. Agents Chemother. 2003, 47, 1430-1432. 13. Call, D.R. ; Bakko, M.K. ; Krug, M.J.; Roberts, M.C. Identifying antimicrobial resistance genes using DNA microarrays. Antimicrob. Agents Chemother. 2003, 47, 3290-3295. 14. Luna, V.A. ; Roberts, M.C. The presence of the tetO gene in a variety of tetracycline resistant Streptococcus pneumo-niae serotypes from Washington State. J. Antimicrob. Chemother. 1998, 42, 613-619. 15. Alekshum, M.N. ; Levy, S.B. Regulation of chromosomally mediated multiple antibiotic resistance: The mar regulation. Antimicrob. Agents Chemother. 1997, 41, 2067-2075. 16. Cousin, S.L., Jr.; Whittington, W.L. ; Roberts, M.C. Acquired macrolide resistance genes and the 1 bp deletion in the mtrR promoter in Neisseria gonorrhoeae. J. Antimicrob. Chemother. 2003, 51, 131-133. 17. Ross, J.I. ; Eady, E.A. ; Cove, J.H. ; Cunliffe, W.J. 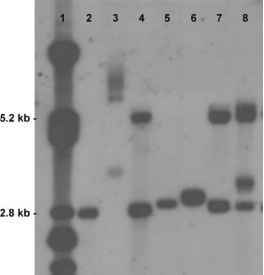 16S rRNA mutation associated with tetracycline resistance in a Gram-positive bacterium. Antimicrob. Agents Chemother. 1998, 42, 1702-1705. 18. Bolhuis, H.; van Veen, H.W. ; Poolman, B.; Driessen, A.J.M. ; Konings, W.N. Mechanisms of multidrug transporters. FEMS Microbiol. Rev. 1997, 21, 55 - 84.